A slice can turn a driver from a favorite club into a feared club. 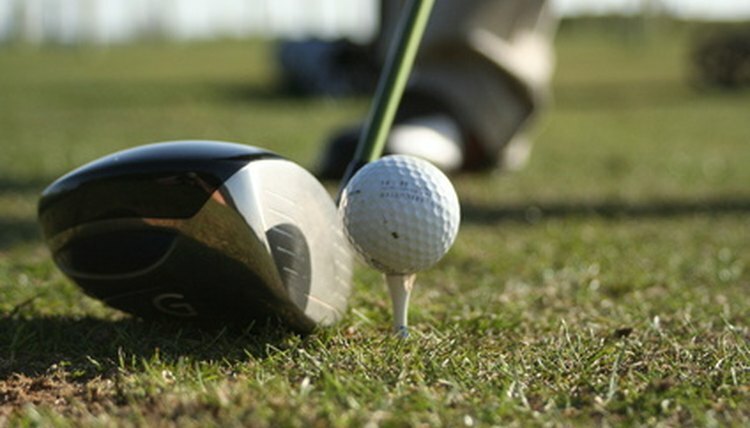 A slicing drive is a shot that leaves the face of the club traveling toward the intended target but veers off course as it travels, bending sharply away to the right from a right-handed golfer. The slice is a common problem among recreational golfers, even getting so bothersome as to cause some golfers to abandon their drivers out of frustration. There are two primary causes of a slice at the moment of contact that can act in concert or by themselves to lead to a shot that goes off line. A club face that is open at the moment of contact, meaning the face does not point directly down the target line as the heel of the face is farther forward than the toe, will cause a slice. And a swing that does not travel straight through the ball down the target line but is instead approaching the ball from outside the target line and following through inside that line, will also lead to a slice. The slice occurs because, when struck in one of these ways, a sidespin is put on the ball turning it so that the portion of the ball facing forward is spinning away from the golfer. Improper alignment is the primary cause of an out-to-in swing path. If your swing is traveling out to in, it most likely means that somewhere in your stance, either in the feet, hips or shoulders, you are addressing the ball too openly, meaning the lead foot, hip or shoulder is farther back from the target line than the rear foot, hip or shoulder. A good way to test the alignment of your stance is to address a ball at a practice range, then have a partner lay a club along your toes, as well as hold a club against your hips and a club against your shoulders. The partner can then look down the shaft of the club to see if your feet, hips and shoulders are parallel to your target line or if one or more of them are open. If your drives are slicing away from you as a result of improper alignment of the club face at the moment of impact, the best way to correct this is to strengthen your grip on the club. A grip is strengthened by turning the bottom hand more toward your front hand. By strengthening the grip, you make it easier to turn the club through at the bottom of the swing, helping to get the face turned square in time to strike the ball. When using this adjustment, be careful not to over-strengthen. If you have moved your hand substantially forward and the ball is still slicing, your grip is not likely the issue, and alignment should be rechecked.